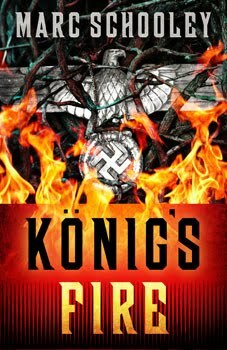 Sascha König is the Nazis’ only hope when their torture-center mine is attacked by a primeval forest. But König is wrestling with demons of his own. The Nazis have established a torture center in a mine at the heart of a Romanian forest. Here they interrogate prisoners and, sometimes, throw them into the furnace at the heart of the mine. Only now, the primeval forest is rising against them, unleashing a preternatural army to besiege the great iron gate of the mine. The fearsome guards become terrified prisoners and the furnace itself burns with hungry anger against them. Sascha König, a man they called Nebuchadnezzar, is their only hope. He is master of the furnace. All along, he has been Hitler’s ardent servant. But now … König is wrestling with demons of his own, and the Master of all fires is calling him to Himself through the haunting eyes of a little gypsy girl König did not save. Winner of the 2011 American Christian Fiction Writers’ Carol Award for best speculative novel.